As the global economy has worsened and scores of people have lost jobs, homes, and part of the money they had put away for retirement, many people are looking for ways to earn an income, supplement their income, or replace the monies lost in their retirement accounts, have turned to the Network Marketing Industry. Because of the low start-up cost (compared to the tens and hundreds of thousands you would have to open a franchise) Network Marketing is a very attractive opportunity. 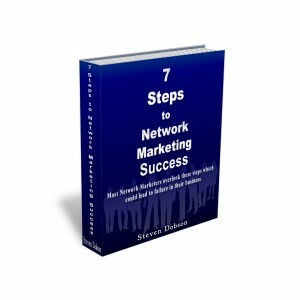 However many budding entrepreneurs just getting started in network marketing don’t have the knowledge and skills that will help them build a successful network marketing business whether its offline or online. According to SCORE, 7 out of 10 small businesses fail within their first two years in business, and half of those remaining fail within their first five years in business. The failure rate for the Network Marketing Industry is estimated to be between 95 to 97 percent, and most of those are due to people quitting in their first 60 to 90 days in the business. To increase your odds of surviving your first 90 days in Network Marketing, you have to invest in your education and learn everything you can about marketing and selling. Below you will find a few of the companies that are in the Network Marketing, Multi-level Marketing, and Direct Selling Industry with a link to their website, their Alexa global and US rankings, and the number of websites linking to their website which the search engines use to help determine website popularity. This information can only help you with determining a website’s popularity. NPROS.com has a list of over 1200 home-based business opportunities and a place where you can find additional information about existing and new Network Marketing Companies.